B Side Mikey Show / Killswitch – Radio for the People, by the People. 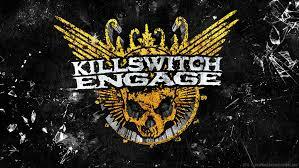 Tonight on The B Side Mikey Show Walter Morgan & the wonderful staff of the show will rip out tracks from Killswitch Engage. Studio 1A from 8-10 (PST) is where it all goes down. Some facts about the band will be discussed and straight tunes will enter your ear holes. Call in at 415-829-2980 to rap with us, and thank you everyone who supports the show around the world, your awesome & appreciated! On Facebook type in B Side Mikey Show and LIKE the page, and you can also friend me at Michael S Sojda. Tonight will be awesome & you can also check it on the App Tune In Radio! \m/ everyone!